Search engine optimization is important for both local and international businesses. Although small business owners have their hands full dealing with nearly endless issues, it’s important that they make room for Local SEO to increase your local search visibility. Just because you run a local business doesn’t mean that you should completely forget about online market. According to a study by Google, nearly 80 percent of all searchers admit that they find local businesses on the Internet with a local search query. With numbers like this, not conducting any form of online marketing, …… well you know what your business needs are. We now live in a digital age, which means that we have access to information on the Internet all of the time. This is thanks in part to mobile phones, which most people have with them at all times. This gives people the ability to look for local businesses, get directions and even compare deals. Your very first step when establishing an online presence and improving your local SEO is to create a Google business page ( Now called My Business Page ). A Google+ local page is kind of like a directory listing for Google+. Some of the information to include on this page is the business’ name, address, website, phone number and hours of operation. This is the basic information that consumers want to know about your store. 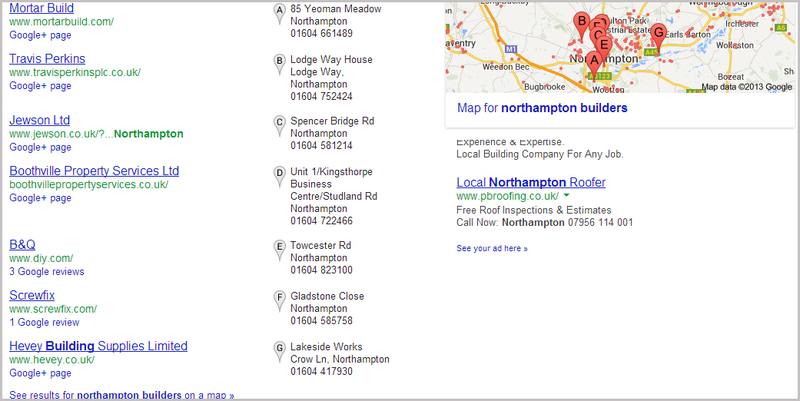 This is the information that Google uses, when people search for your business using Google Maps. It also allows customers to review your business, which is great when establishing your brand authority. It is important to note, however, that Google has made some changes to its Google+ service. If you already have Google+ brand page, you can combine it with your Google+ local pages. Creating a Google local page is extremely easy. In fact, all you need in order to make a Google+ local page is a Google+ profile. 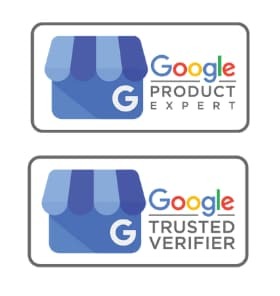 You will also need to verify your Google local business page in order to gain any value from having one. Google has made this process simple as well ( In most cases ). There are two options for verifying the page: from a phone or a PIN number on a postcard. If you are looking to verify quickly, doing so by phone is your best option. If you do choose to get verified by postcard, you will need to wait to receive your card in the mail. Once you do, simply follow the directions that Google placed on the card, and use the PIN number when required. TIP: The most important thing to remember when it comes time to fill out your Google business local page is to ensure that the information you are filling out is 100 percent accurate. The details on your Google business page also needs to match the contact page that you have set up for yourself on your website. Always double check to make sure the information is listed accurately. Information that isn’t filled out correctly can stall the verification process. This is Important as any marketing you do should always have the address in the exact same format as your Google business page and your website. Increase your on-site content. Posting well-written and helpful articles is one of the best ways to attract quality traffic to your website. The articles should pertain to your site and be information so that your audience finds them helpful. 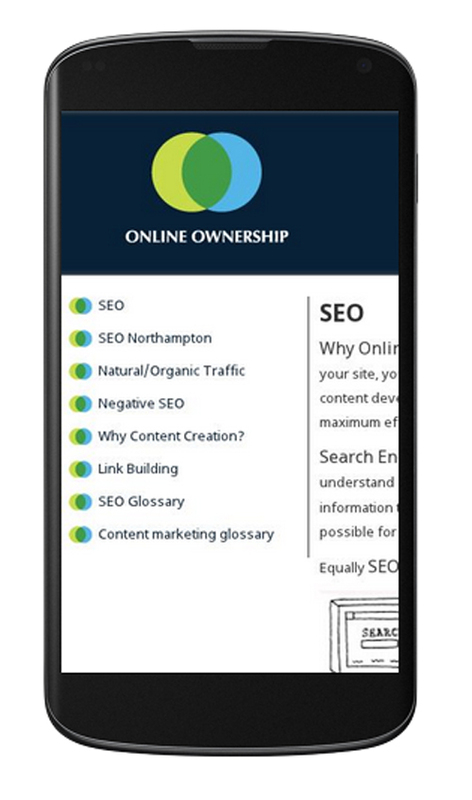 Last but not least, be sure that your site is responsive to mobile searches. By 2015, there is expected to be more mobile searching than desktop searching. Although there are many ways to go about getting NAP listings, keep your information consistent. For example, if you use paid tools such as Yext, Moz Local or Whitespark, you need to ensure that your NAP listings match with each other. If you don’t want to go the paid route, there are some directories that allow you to build citations yourself. These do not always work as fast as paid tools, but they are effective. Some of these directories include Hotfrog, MojoPages and Insider Pages. Also, look for opportunities for citations. This could include, but is not limited to, local newspapers, TV and radio stations, or your local Chamber of Commerce. Many times, these outlets have plenty of citation opportunities available to smaller businesses. Embracing customer reviews is a very important step in increasing awareness for your brand. Encourage all of your customers to review your business whenever possible, but don’t be afraid to get negative feedback. This gives you a chance to interact with the customers that had a bad experience and find ways to improve. Google+ local page makes it easy for customers to leave reviews. As long as customers are signed into their Google+ profile, they are able to write reviews for your company. Then, the reviews show up in the listings when a customer searches for you on Google Maps. However, don’t just limit your customer reviews to Google+. You also want to encourage your customers to leave reviews with the Better Business Bureau, Yahoo! Local, FourSquare and Angie’s List. These are all great review sites that thousands of people use every day. Markup your business details, for a local business this starts with your business details : schema.org/LocalBusiness. As a local business I would recommend adding your business details to the footer of your site, this allows a customer to see your details instantly, it also promotes your locality across all your sites pages. 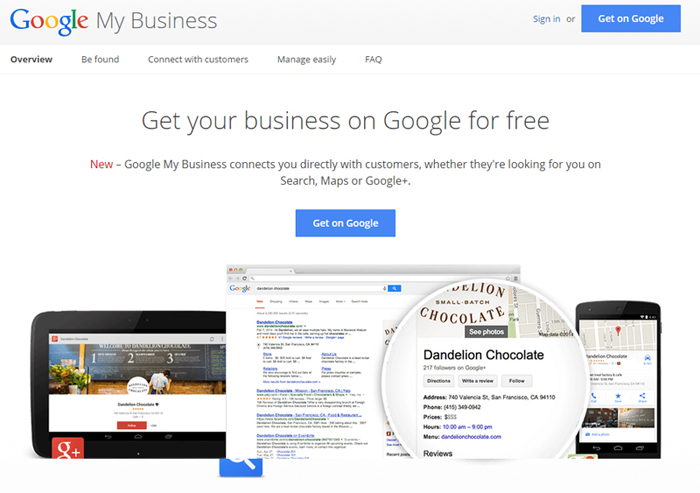 • Create a Google+ local page ( My Business Page ), fill it out accurately and get it verified. • Pay attention to your website’s SEO factors. 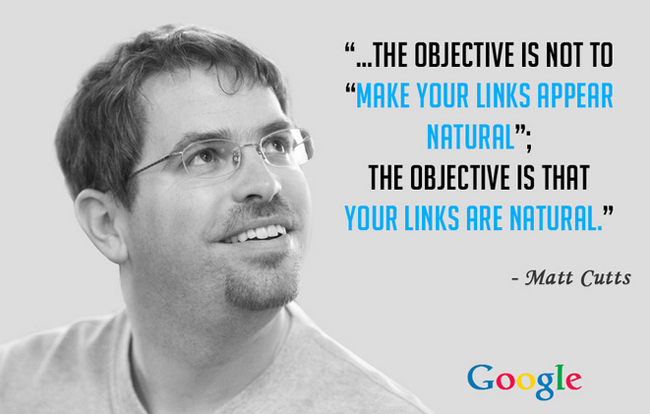 Make sure they are optimized. • Build up NAP listings when and wherever possible. 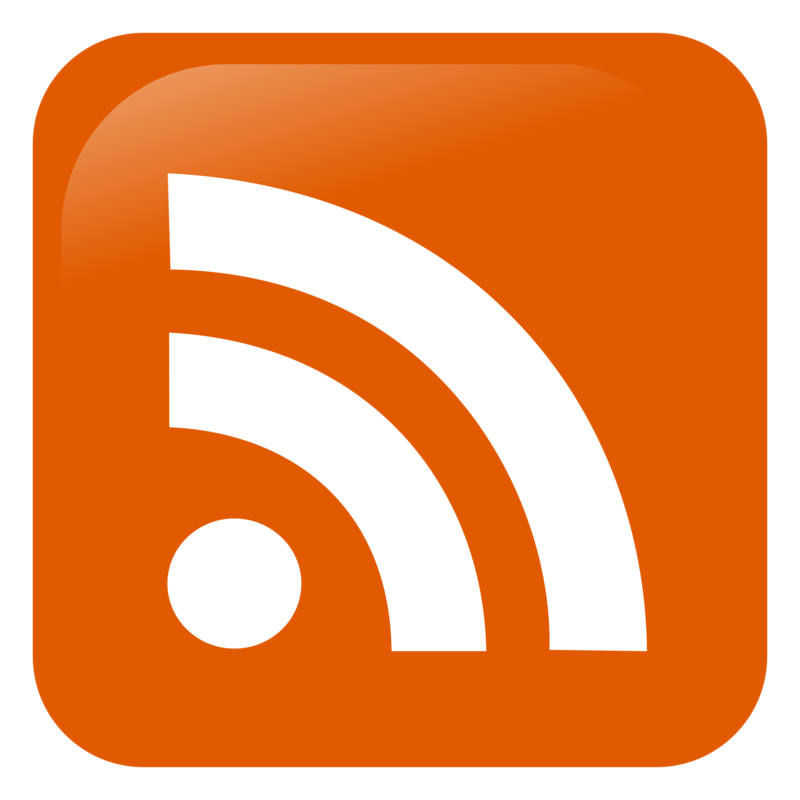 • Build useful and relevant links. • Talk to all of your customers about writing reviews.